Recognition of the importance of fresh water resources – their availability, management and protection – by the nations of the world is broadening. The gravity of water issues is reflected in the 2030 Agenda endorsed in 2015 by the United Nations General Assembly and establishing the Sustainable Development Goal (SDGs), the Sendai Framework for Disaster Risk Reduction 2015-2030, and the Paris Agreement that entered into force in 2016. These combine to mark a significantly positive recognition of the role that water plays, and will increasingly play, on national, regional and global scales. The urgency is to enhance the provision and use of hydrological services to support water-related activities that result in economic prosperity and reduced losses from water-related disasters. This is the goal of the HydroConference. “Water is life and it has to be an instrument of peace. It is a shared resource and it has to be a matter of cooperation,” said Danilo Türk, Chair of the Global High Level Panel on Water and Peace, calling for more water diplomacy and trans-boundary water cooperation. Khayrullo Ibodzada, Chair of the Committee for Environmental Protection under the Government of the Republic of Tajikistan: Over the past 60 years, the average temperature has increased by 1° Celsius in Tajikistan, accompanied by more frequent and intense hydrometeorological disasters. 60 percent of Central Asia’s water supply comes from Tajikistan. Increasing temperatures will speed up glacier melt, reduce river flows and undermine sustainable development. Tajikistan is hosting a conference on the International Decade for Action “Water for Sustainable Development” from 19-21 June 2018. Reza Ardakanian. Minister of Energy, Islamic Republic of Iran, said his country is experiencing the driest year in the last 50 years. Of the 80 million-strong population, 17 million face water stress this summer. Sand and dust storms exacerbate the problem, with major health and economic impacts. Hydrological data services can help with forecasting, warning management of water-related events. Khaled Abdelhay Ramadan Mohamed, President of National Water Research Center, Egypt, said that the impact of climate change on river catchments is causing variants of floods in some places and droughts in others and so must be factored into any water management plan. Egypt is located in an arid region with very limited freshwater resources. All its ground and surface water comes from neighbouring countries. “The Nile is life. Without the Nile we can not live,” he said. Population increase is adding to the water stress and the government is working on plans to improve water efficiency and recycling. Henk Ovink, Special Envoy for International Water Affairs for the Kingdom of the Netherlands, referred to the Blue Marble planet of which 71 percent is oceans, and yet only 0.4% can be used. “It looks like there is an abundance of water, but it is actually very scarce,” he said. “We have to manage water on every scale much better than we do now,” said Ovink, summing up the take-home message of the conference. 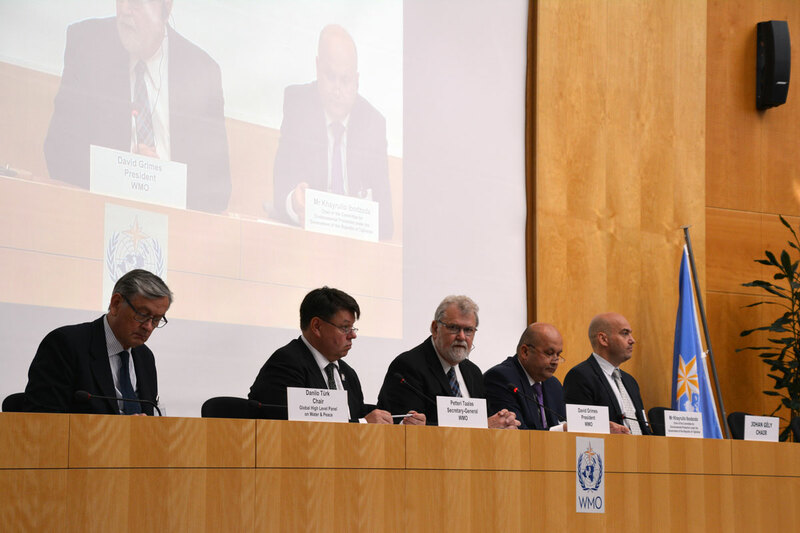 Food and Agriculture Organization Director-General José Graziano da Silva said water management is a high priority for FAO, which takes action on a daily basis to promote more ways for food systems to use less water. Andrey Vasilyev, Deputy Executive Secretary of the UN Economic Commission for Europe said that trans-boundary cooperation on shared river basins and water resources was key to achieving the sustainable development goals.